What are we to make of this? 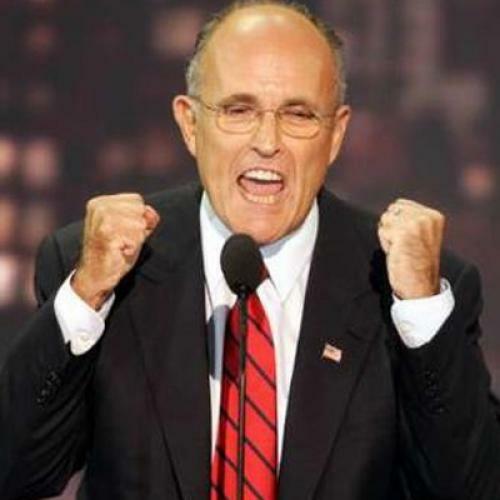 Politically, the socially moderate Giuliani lines up closer to his fellow northeasterner Romney. But does he feel some sympathy with Gingrich as a man of multiple (and messy) marriages? They have another bond as well, of course -- both have milked their political connections for a lucrative career in influence-peddling, er sorry, I mean consulting and strategizing. The fireworks started in the first minutes of the debate, which aired on ABC, when Romney trashed Huckabee's recent essay in Foreign Affairs magazine in which the former Arkansas governor criticized the Bush administration for having an "arrogant bunker mentality" on foreign policy. In response, Huckabee pushed back, accusing Romney of echoing a similar opinion last year and of supporting a "timed withdrawal" of troops from Iraq. "Don't characterize my position," Romney warned. "Which one?" Huckabee shot back. And that wasn't the only venom of the night. When Romney went after McCain, accusing him of supporting amnesty for illegal immigrants (a charge Romney makes in one of his TV ads airing here in New Hampshire), the Arizona senator repeatedly denied the charge. "You can spend your whole fortune on these attack ads, my friend, but it still won't be true," McCain said, referring to the millions of his own dollars that Romney has pumped into his campaign. McCain's line elicited a loud cackle downstage from Rudy Giuliani, who has clashed more than once with Romney over immigration. Fred Thompson, a mostly quiet presence in the debate, went after Romney a few seconds later on the issue. "Didn't you say Republicans were making a terrible mistake if they were separating themselves with President Bush on the illegal immigration issue?" Thompson asked. Romney said he'd been misquoted, which prompted McCain to jump back in. "You're always misquoted," McCain scoffed. "When you change positions on issues from time to time, you will get misquoted." From downstage, Giuliani laughed again, and Romney was visibly irritated, accusing McCain of "personal attacks." But Romney didn't get much of a reprieve. A few minutes later, Giuliani piled on Romney, reminding the audience that nobody in the field has a perfect record on immigration--not even Ronald Reagan, who Giuliani called "the hero of our party." "Ronald Reagan did amnesty," Giuliani said. "I think he'd be in one of Mitt's commercials. This time, it was McCain who laughed. McCain had to get over his contempt -- Romney endorsed him after dropping out of the race and proceeded to campaign eagerly for him around the country. But Giuliani never had occasion to go through a similar thaw, and the result is what we're seeing now: an unlikely friend for Newt.